NOTE: Be sure to set aside 8 oz of cool whip for layering! Prepare Graham Cracker crumbs per directions. Prepare Leanne’s Luscious Lime mix per directions. 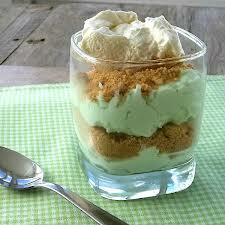 Layer graham cracker mix, lime mix and cool whip into parfait glasses.